Everyone’s favourite bandit feline brings you a swag-bag of swashbuckling fun, bursting with colouring, stickers, puzzles and other loot! As the larger-than-life tomcat from the Shrek movies swaggers back onto the cinema screen to star his own feature film, celebrate the movie with these awesome activities. 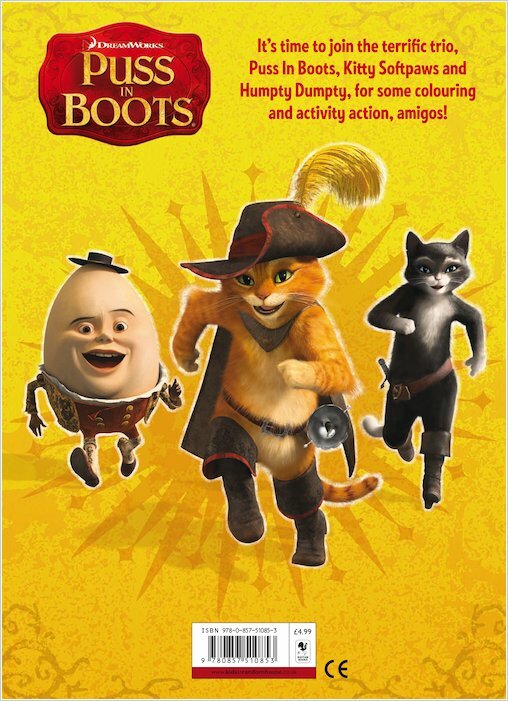 Follow the story of Puss’s early days: his life in the orphanage, his friendship with Humpty Dumpty, his meeting with feisty Kitty and their search for the Goose Who Laid the Golden Egg! 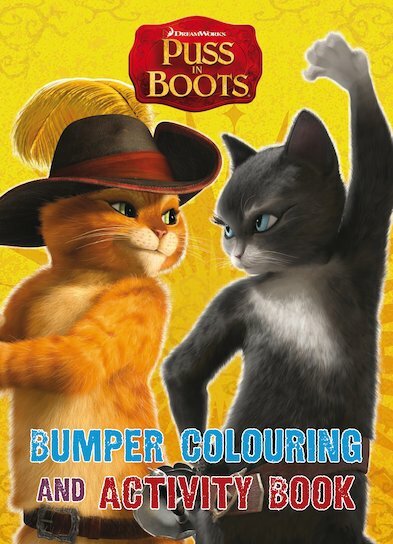 Jam-packed with 96 pages of feline fun, plus four pages of stickers, this book will keep you swashbuckling for days!